Cyprus pushing an initiative to revive the peace process between the PA and Israel, say Palestinian sources. Sources in the Palestinian Authority (PA) told the Ma’an news agency on Tuesday that Cyprus has pushed an initiative to revive the peace process between the PA and Israel. 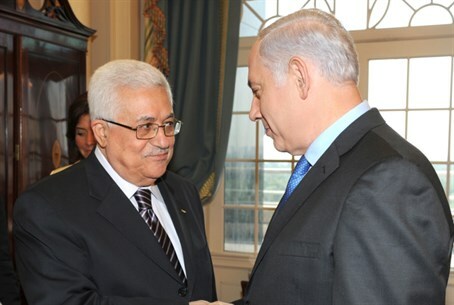 Cyprus President Nicos Anastasiades reportedly phoned PA chairman Mahmoud Abbas on Monday and briefed him on the initiative before talking to Israeli Prime Minister Binyamin Netanyahu, who was in Cyprus on Tuesday. Sources told Ma'an that the initiative is "European and Cypriot," and includes an invitation to both Abbas and Netenyahu to separately address EU leaders at a future summit in Brussels. The Palestinian leadership is still studying the initiative, but emphasized that it wouldn't stand as a replacement for a French initiative, according to Ma’an. Netanyahu accepted the invitation to address the EU on Tuesday during his one-day visit to Cyprus, Israeli media reported. The Cypriot initiative comes a week after the European Union said it will explore setting up a new international format to breathe life back into the stalled peace process between Israel and the Palestinians. France has also sought to bring the sides back to the negotiating table, saying recently it was working on a possible resolution at the UN that would set negotiating parameters and establish a time period, possibly 18 months, to complete talks. Minister Silvan Shalom, who was appointed by Netanyahu to be in charge of peace talks, met last week in Jordan with the PA’s chief negotiator, Saeb Erekat. Shalom recently called for the resumption of peace talks, but also noted that “it takes two to tango” and that the PA needs to also show willingness to resume talks. “We need to resume the negotiations with the Palestinians, even though we don’t see the light at the end of the tunnel,” he said at a conference of the Israeli Institute for National Security Studies in Tel Aviv, adding that Israel has publicly announced that it wants to resume the negotiations immediately but that "desire from both sides" is required to do so.